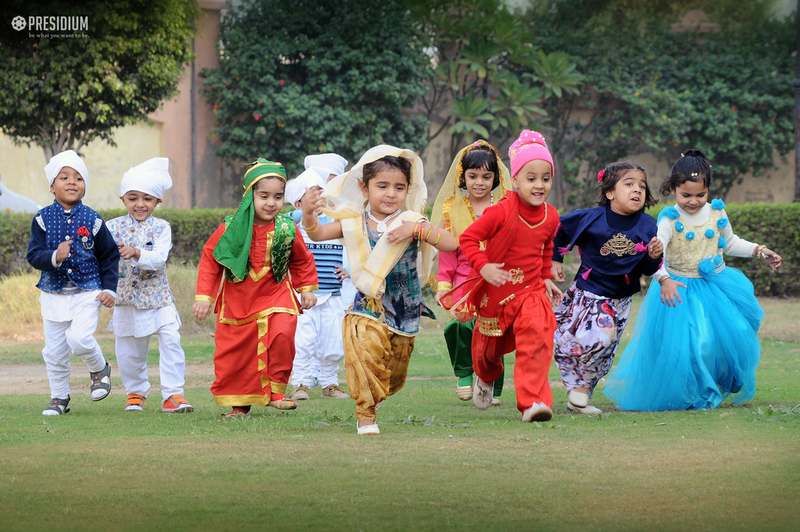 Festivals are mostly celebrated to propagate the cultural heritage of nations and to highlight various aspects of a society. 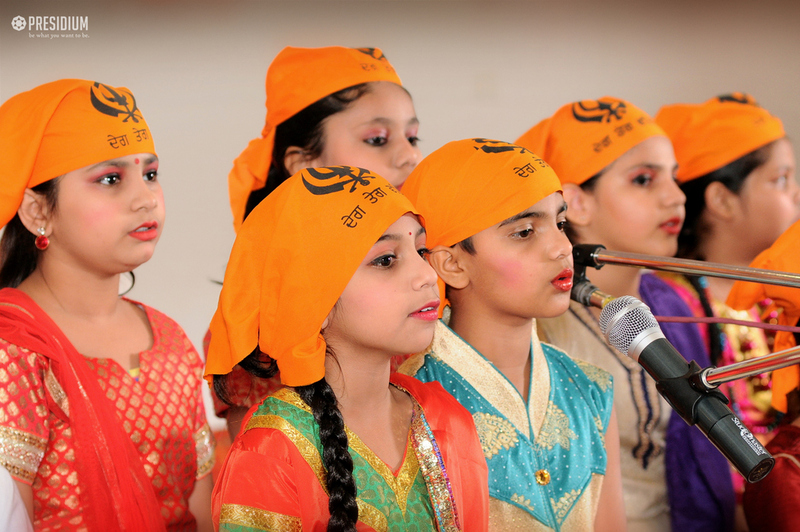 On the joyous festival of Gurpurab, Presidians celebrated the birth of the first Guru of the Sikhs - Sri Guru Nanak Dev ji by organising a special assembly. 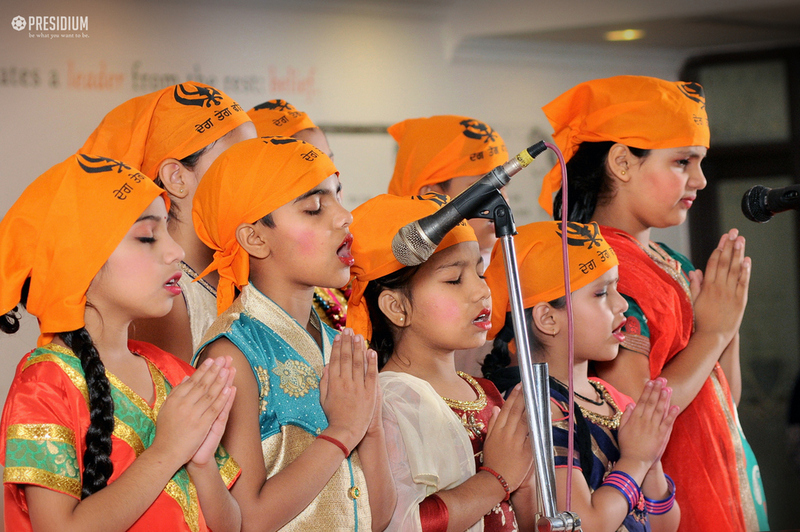 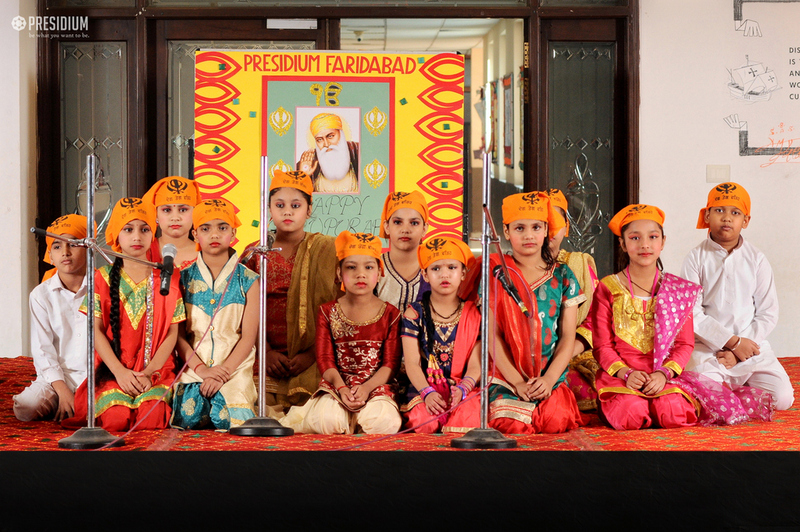 Students were dressed up in colourful Punjabi attires. 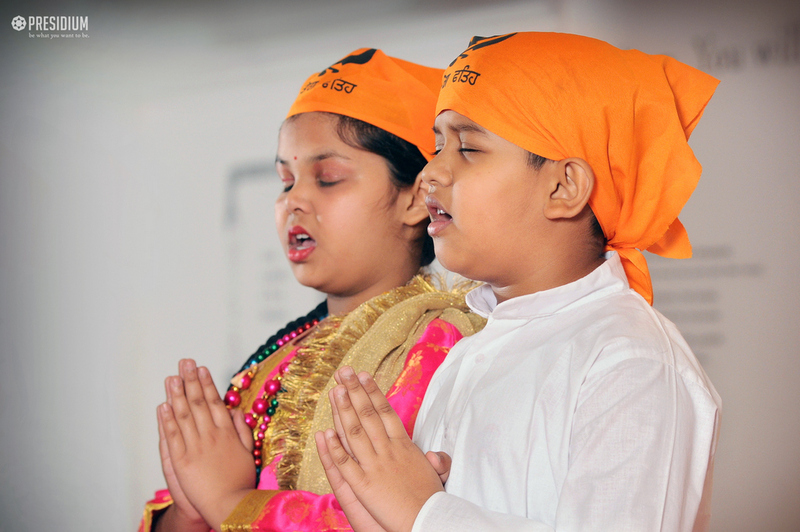 A warm welcome speech with a glimpse of the Sikh history was given to enlighten the students about the historical background and teachings of Guru Nanak Dev Ji. 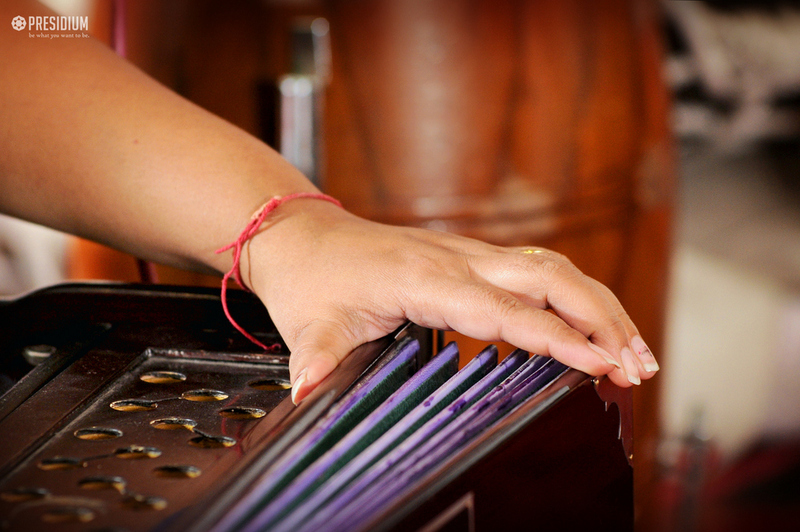 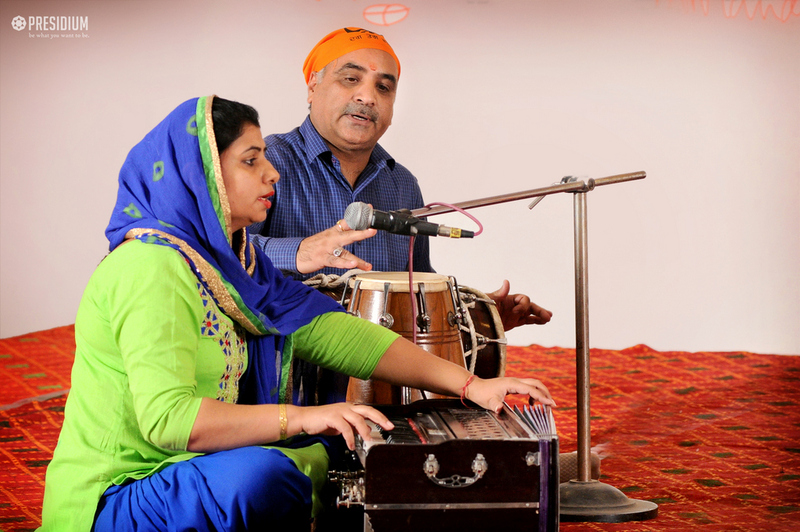 Serenity and calmness floated in the air with the melodious and soothing hymns. 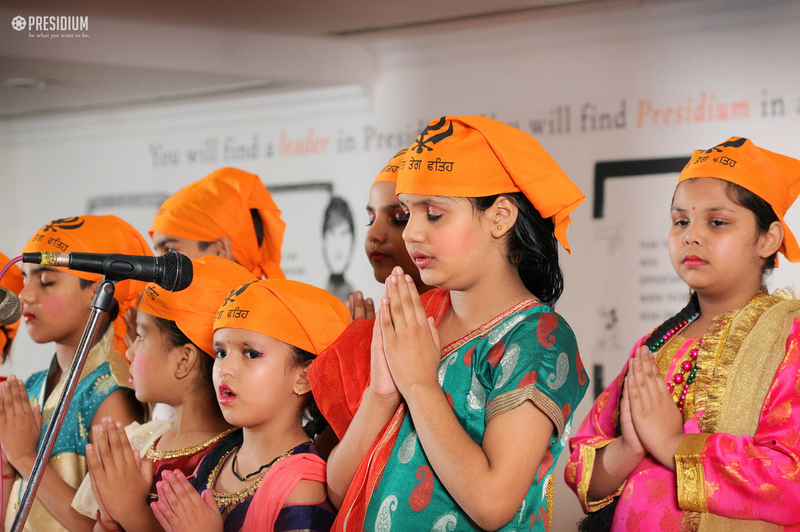 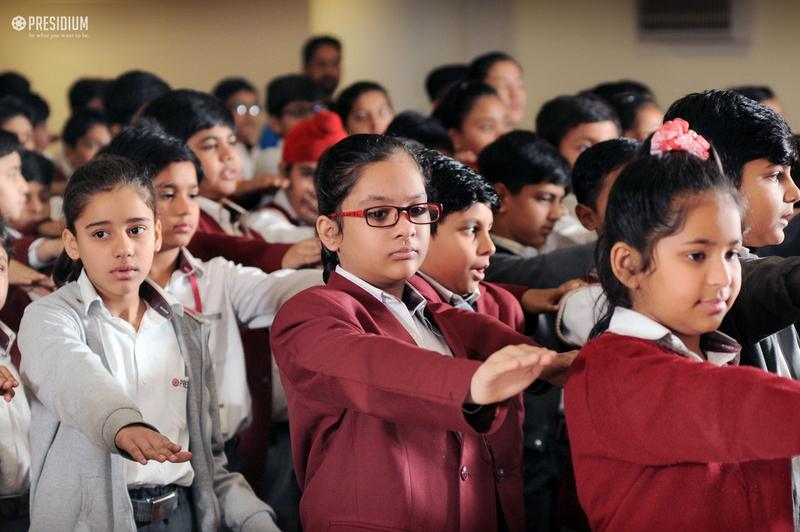 The celebrations were relinquished by the closing address of Principal of the School, Ms. Veena Gaur who revealed that the motive behind such celebration was to bring home the relevance of the festival for our young generation.